Cookie might be small, but her heart and personality are huge! She is extremely loving, affectionate and playful. 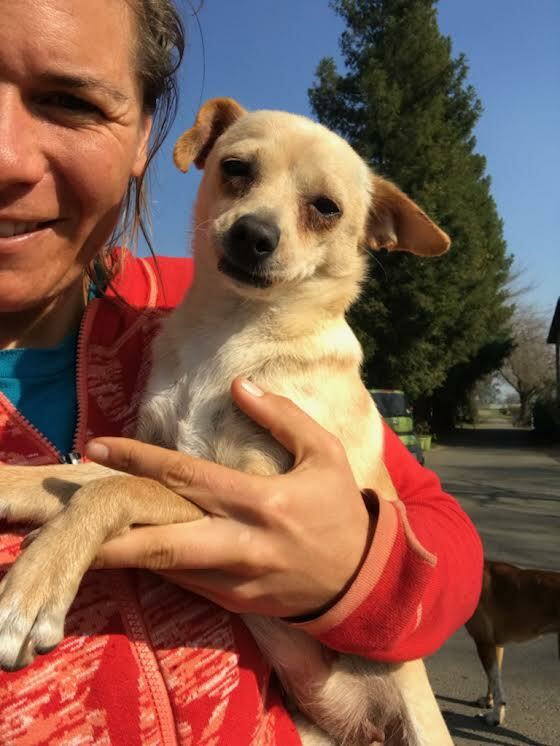 Cookie came to us from the Central California SPCA in Fresno CA where she and her 3, one month old pups landed on the kill list due to time and space. She has been with us for almost a month and has been a delightful addition to our home. Cookie loves snuggles. She is playful with other dogs and lives with them in our home. She can run with the big dogs and keeps up with the best, she follows while we drive the tractor and do farm chores. She is very fast and may have Italian greyhound in her. Housetrained, 12 lbs, $200 adoption donation includes spay, microchip, vaccinations and utd on monthly preventatives.